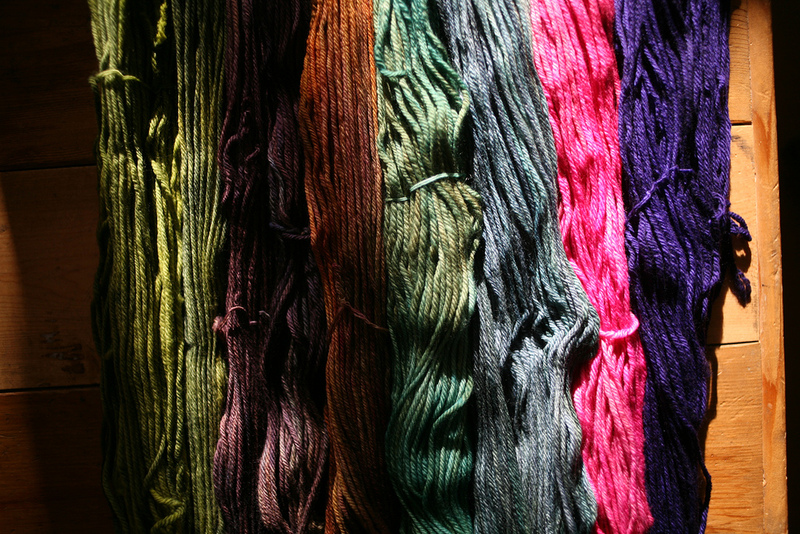 Rios works well as a 1-skein project for hats or fingerless mittens, or use it in sweater quantities! I used the archangel colourway to knit up the Cinnamon sweater for my niece Mabel’s 4th birthday. Some of you who have been with Baaad Anna’s since the beginning may remember the first post about Mabel – it was shortly after the shop had opened when Mabel was born. She was the first little one to sport the Baaad Anna’s T-shirt! I knit a blanket for Mabel, but since haven’t made her anything *shirk*. So I decided it was time…. The Cinnamon sweater is a great pattern, that can be worn in so many ways, as a dress as shown on our lovely model Aya (thanks to mama Rebbi for letting us take photo’s). 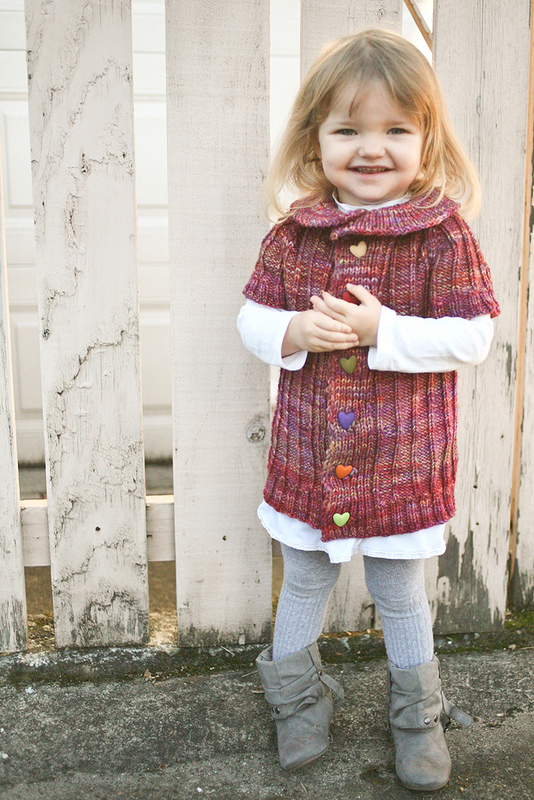 Or it can be worn as a sweater when your little one grows! The pattern designer, Elena Nodel, is a BC Local and has some fantastic designs! check out her designs here.